We happy to announce our new release by Mariano Arellano from Buenos Aires, Argentina. In this EP you find five excellent tracks for the dance floor, excellent quality, with remixes of Matias Bagato, Rewx & Uriel GZ. Abjective first arrived on Kahvi back in December as part of the VA compilation (Waves). 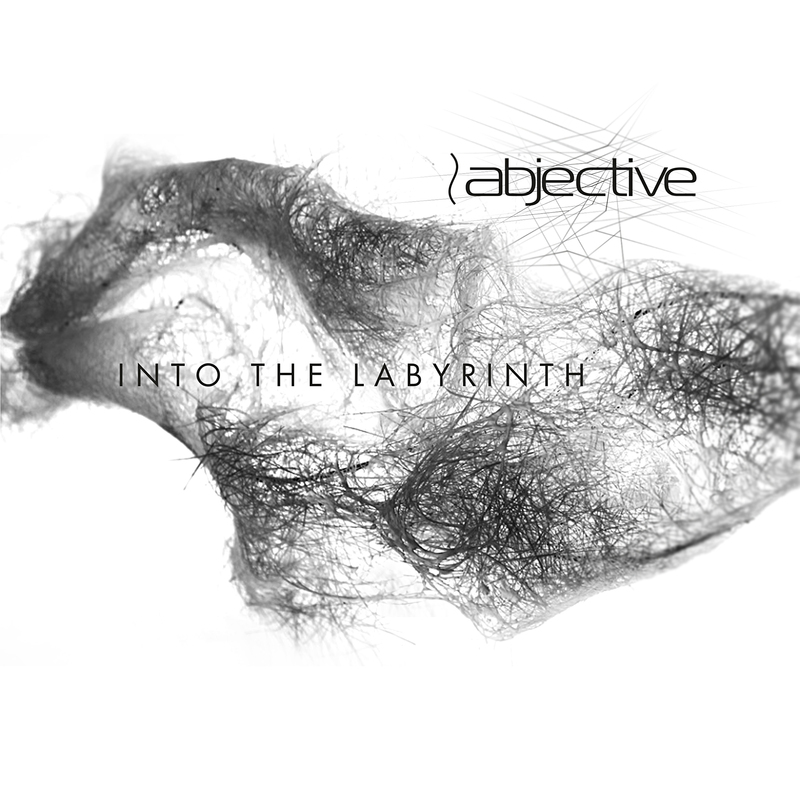 Now they’re back with an album entitled ‘Into the Labyrinth’. It is with great pleasure that we are able to present for the second time José Guillén as a guest in our experimental home and we would like to thank him for giving us this opportunity. Another delivery from the legend of troglodisco! Snippets of manicness inspired equally by 90s viva german dance music and teutonic ebm industrial – in attention deficit portions reminiscent of the Residents’ commercial album and similar tongue-in-cheek approach to the genre. This is a vision of dance music revelling in its own simplistic approach and playful in its bending of genre’s boundaries and limitations. Like a 12 year old fed only by early dance music and armed in an array of 80s music samples and a book of “rules of disco music” that he dropped into a vat of acid for a few seconds it is concentrated on fun and simply enertaining to watch it stumble, spin and burst at the seams with forbidden energy. it’s time for a little bit of serbia! being long overdue, finally we present to you another chapter of unfoundsound’s “location series” — which features compilations of artists based in one city. first, we did buenos aires, then marseille, then melbourne, and then philadelphia. this time around, it’s novi sad (serbia’s second largest city). unfoundsound’s cofounder sean o’neal (a.k.a. someone else) continues to travel often and move around. 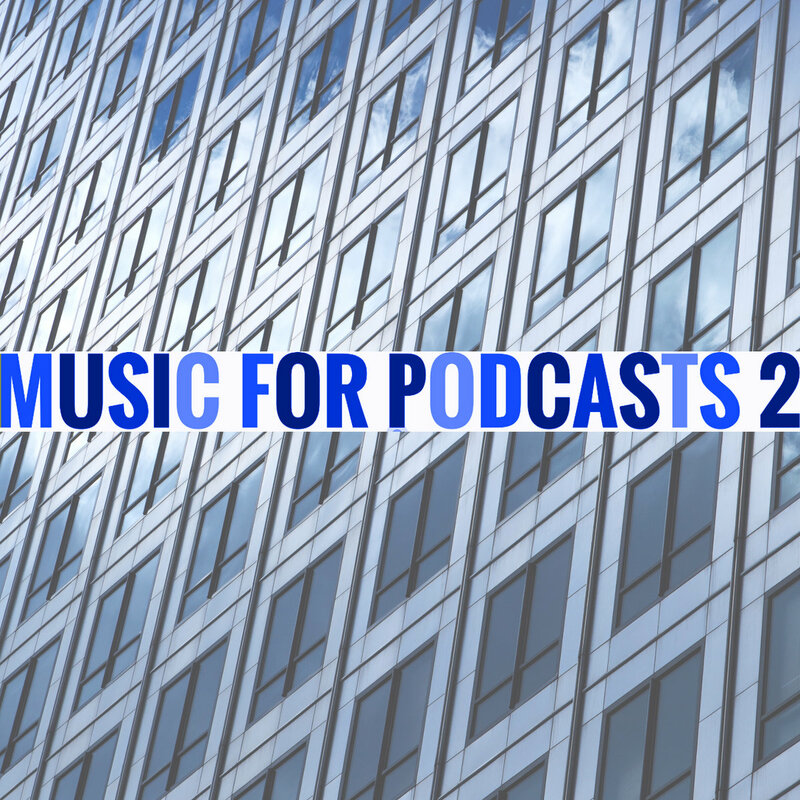 after he himself has been living for a couple of years in novi sad, he realized it was time to put together a compilation of some of the finest electronic music artists in the city. very soon after he relocated to novi sad, sean quickly discovered that the city has an intelligent and thriving underground electronic music scene. so maybe it’s time to help put this city on the map. on happy in novi sad, you get a whopping 15 tracks ranging from minimal techno to deep tech-house to ambient to glitchy experimental, and there’s even a touch of loopy indie rock thrown in for good measure. the novi sad-based artists on this compilation include dako loop orchestra, fall apart (featuring the voice of radoje cupic), otto von disko, klaus pp, sloxxx, yoma, nebes, mthaza, daniel fritz, noise destruction (featuring dj z and dj fakir), daniel alexandar and mika technika. so, be happy…in novi sad! rec in kumara in seven full moons. field recordings in bali & nepal. ‘Break Free’ is a cross-regional collaboration between three regions of the South African Western Cape province. The song features both West Coast and South Coast rappers, namely Tha Real U and Lil Stewy, accompanied by an Overberg artist known as The Essence. It is the first Shaloma Muzik release by Lil Stewy, after joining the label in November 2014. The song anticipates the #ShalomaFuture series, proposed by the label for the year 2015. Upon release, ‘Break Free’ reached the Soundcloud Download Limit of 100 downloads after 3 hours and 38 minutes, making it the most rapidly downloaded Shaloma Muzik release to date. It reflects the life of the three artist and their outlook at possible stardom. Knowing that they would need to increase their artistic reputation and build their careers in music, they each reflect on what it means to break free from everyday life through their passion for music and how this passion is interlinked with their reverence for God. The song could be linked to a previous Shaloma Muzik release in 2012 known as ‘Long Nights’. This was the first Shaloma Muzik breakthrough release into the West Coast Hip-Hop community. Similarly, ‘Break Free’ became Shaloma’s breakthrough into various other communities – and audiences. It is the first release by the label after it’s redevelopment. The first verse sees Lil Stewy introducing his ambitions with reference to his faith in the Lord and the promise he finds thereof. The song continues with Tha Real U analyzing what his life feels like on a regular basis, and touches on what he aspires to withhold or reach. It also tickles the current state of Hip-Hop as Real U critiques and expresses his remorse thereof. The concluding verse by The Essence provides a summary of both the previous two verses through the perspective of the rapper’s life. Essence mentions that music is his release and expresses that although fame and stardom might not be reached, music is still a tool for expression. He then adds that with God everything is possible to those who believe, motivating the listeners to put their faith in a Higher-being and striving to achieve their dreams. It’s quite a bit of time that Strato Dischi Notlabel host I Neurologici in its studies. In recent years we have accumulated a lot of material, enriched by the collaboration to the collective of singers and musicians. 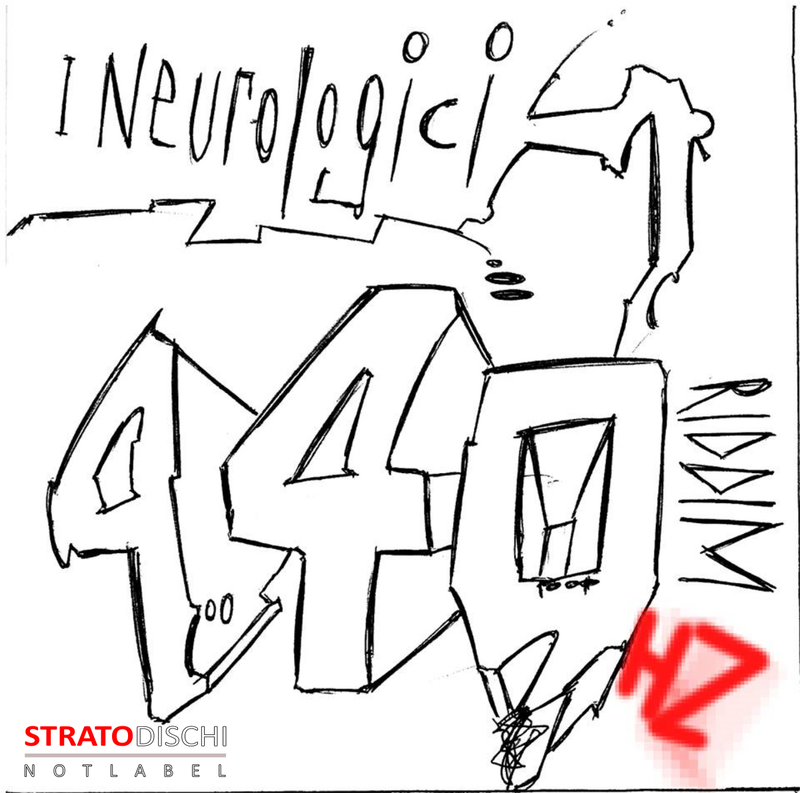 It has come to the idea, announced by a video ( I Neurologici – Riddim To Riddim), to publish a track per month, in different interpretations went out along the way. So Riddim To Riddim was born, which debuts in this month, January 2016, with the track that best relates to the style of the collective before the more electronic experiences. 440 Hz is in fact the opening track of the 1999 album, selfproduced and pressed on vinyl, which has already seen a newly remastered release on our netlabel. The riddim was subjected to new production. Opening version starring once again, as seventeen years ago, Alexander Mazziotti’s flute and his quotation of a popular tune. It follows the version sung by Ras Moray, Kenyan-born singer, with his warm and powerful voice. The third version is the interpretation of our friend Jobba (Roberto Addo), italian reggae scene new promis, born from that resource of artists that is Campania. 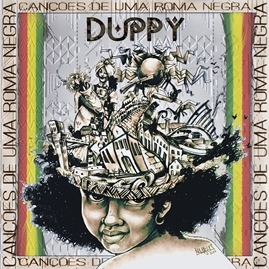 n mid 2012 in Salvador-Bahia/Brazil, was founded Duppy. The musical proposal of the band is mainly exploring the blend of reggae / ragga to the metal, with the theme of the letters mysticism and African culture! This is their first album titled “Canções de uma Roma Negra”, which represent the living culture that exists in Bahia state where they live, establishing religious and musical values. The Duppy is seeking space in the world, to show that in music there are no limits but a science that one can take a risk and build the originality! A metà del 2012 a Salvador, Bahia / Brasile, è stata fondata Duppy. La proposta musicale della band sta esplorando principalmente la miscela del reggae / ragga al metallo, con il tema della mistica lettere e cultura africana! Questo è il loro primo album dal titolo “Canções de uma Roma Negra”, che rappresenta la cultura che esiste nello stato di Bahia in cui vivono, esplorando i valori religiosi e musicali. La Duppy è alla ricerca di spazio nel mondo, per dimostrare che nella musica non ci sono limiti, ma solo una creazione che ricerca il rischio e costruisce l’originalità! No meado de 2012 em Salvador-Bahia/Brasil, foi fundada a Duppy. A proposta musical da banda é principalmente explorar a mistura do reggae/ragga ao metal, tendo como temática das letras o misticismo e a cultura africana! Este è o primeiro disco intitulado como “Canções de uma Roma Negra”, onde representam a cultura viva que existe na Bahia, estado onde vivem, firmando valores religiosos e musicais. A Duppy vem buscando espaço pelo mundo, para mostrar que na música não há limites e sim uma ciência de que se pode arriscar e construir a originalidade! Exciting, intelligent, surprising rock straight from Saragossa/Spain!